The village of Kenmore at the east end of Loch Tay in July. 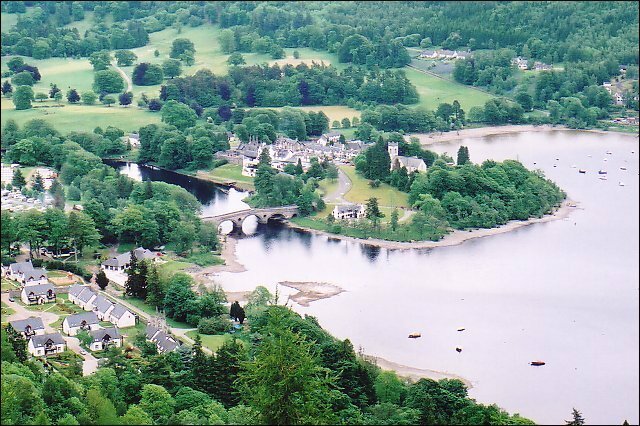 From this viewpoint it is easy to see how the village got its name (Kenmore is from the Gaelic Ceann mhor which means 'the big head') from the prominentary of land which projects into Loch Tay. Copyright © Transcotland Ltd. 2000.